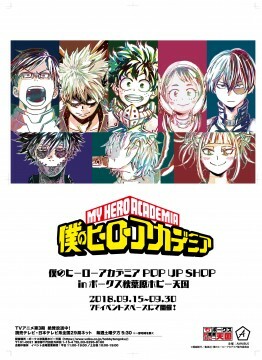 At Bokez Akihabara Hobby Heaven "My Hero Accademia" event 【My Hero Accademia POP UP SHOP in Bokez Akihabara Hobby Heaven】 will be held. From Sep. 15th (Sat.) to September 30th (Sun) of 2018, the event of "My Hero Accademia" [My Hero Accademia POP UP SHOP in Bokez Akihabara Hobby Heaven] was held at Volks Akihabara Hobby Heaven It has been decided to! ! During the event period, Hobby heaven will make the "My Hero Accademia" exciting! We will sell merchandise of fans must-see such as events pre-processed products which processed each character to "Ani-Art" illustration! 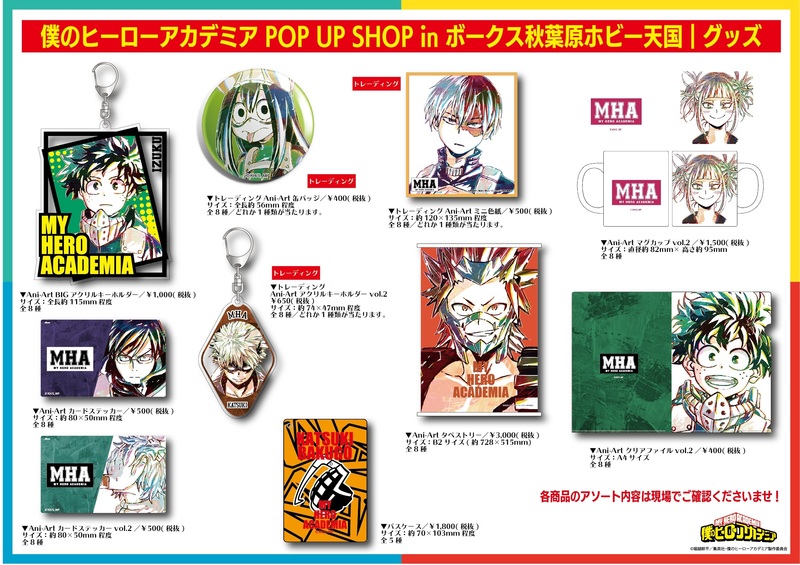 Of course we have many goods released so far! During the period, you will receive 1 piece per purchase for more than 1,000 yen (tax excluded) for the work related items, and randomly present original character sheets (8 kinds in total) as purchase benefits! * Distribution will end as soon as it is lost. 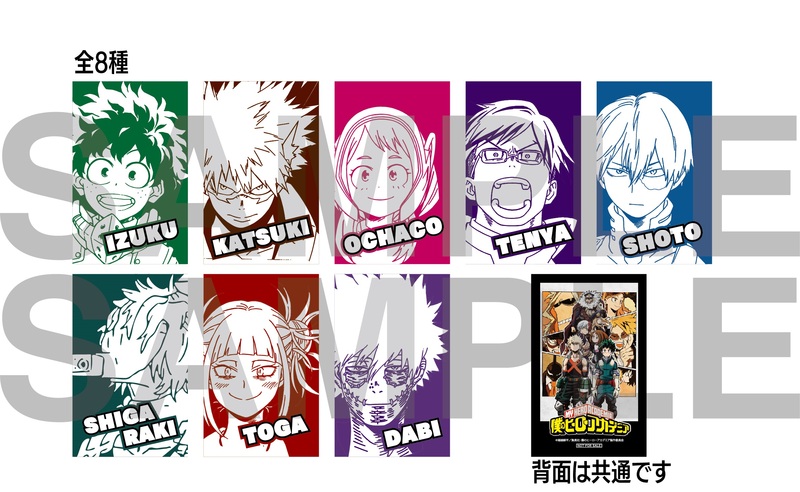 We made 50 name scenes bromide, so please enjoy the lottery! As a festival, we also have a shootable (one time ¥ 200 / tax included) hitting original goods at the venue! Please beat the Bang Bang target! 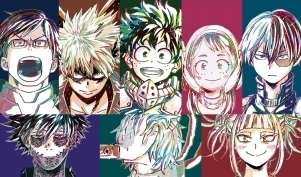 In addition, at the event venue, we are waiting for a lot of preparations, including exhibits on "My hero academy"! For details of this event, please click here from time to time! 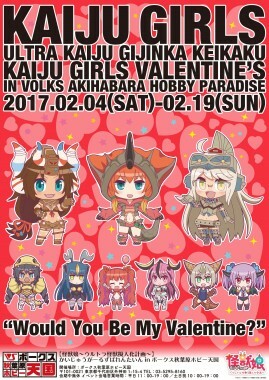 2/4/2017 (Saturday) Volks akiha Hara hobby heaven, see Monster girl-ultra Monster anthropomorphic plan-“event” tusked tsunagaaru without Valentine in Volks akiha Hara hobby heaven “will be held! Toranoana to hold a personal exhibition of cartoonist and illustrator “Ogino Atsuki” in Akihabara from Saturday, September 16, 2017! To Akihabara to the sanctuary of Vtuber! AKIBA Tourism Council, Kizunaai and a total of 14 Vtubers formally formed a tag “Autumn Festival 2018 Fall” to be held! As Akihabara Virtual Tourism Ambassador took office as “Kizunaai”! It has passed 10 years ever since–. Decided to hold 10th anniversary illustration exhibition of Professor Asumiko Nakamura’s classmate series in Akihabara! 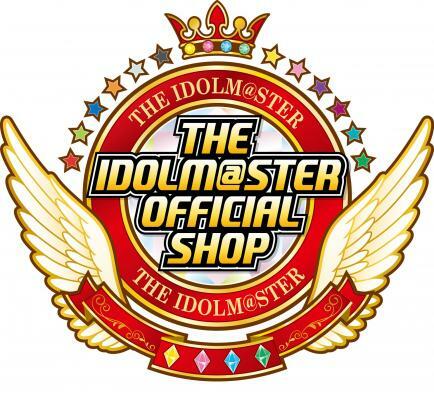 The theme is “figure genic” “SNS shine” display a lot of new figures!